ELK-Desa Resources Berhad is incorporated and domiciled in Malaysia. It was listed on the Main Market of Bursa Malaysia Securities Berhad on 18 December 2012. 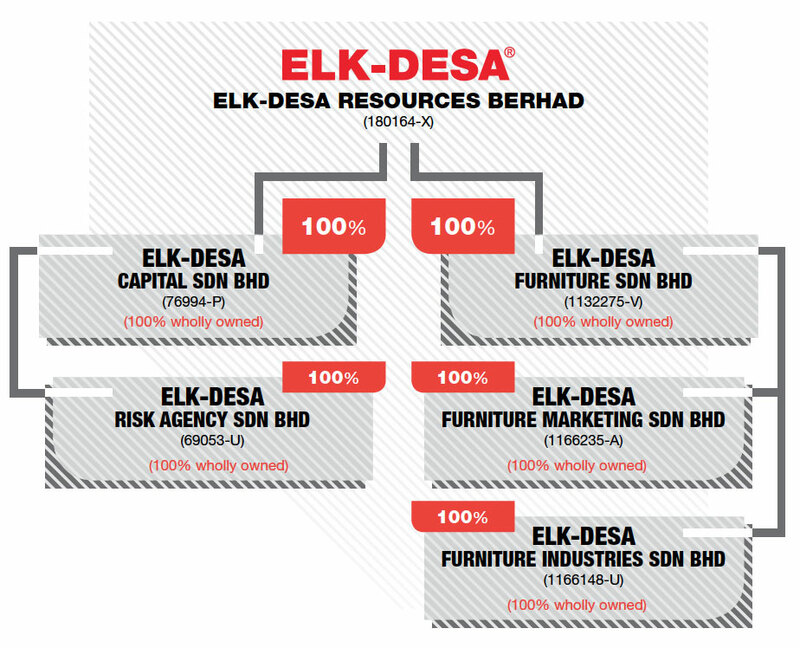 ELK-Desa Resources Berhad has two business segments through its wholly-owned subsidiaries, ELK-Desa Capital Sdn Bhd and ELK-Desa Furniture Sdn Bhd. The ELK-Desa Capital Group is primarily involved in the business of hire purchase financing for used motor vehicles as well as selling general insurance policies as an insurance agent. The ELK-Desa Furniture Group is primarily involved in the business of trading and wholesaling of home furniture.